Work on camera with Ryan Drake of Douglas Aibel Casting & Stephanie Holbrook Casting! Some select assisting credits include: Meyerowitz Stories, Glass, Split, Succession (HBO), The Sinner (USA), Fahrenheit 451 (HBO), Mozart in the Jungle (Amazon), Thoroughbreds, Landline, The Kindergarten Teacher. You will work ON-CAMERA with Ryan using specific sides he has chosen and assigns to you in advance of each class. Ryan generously works with you, giving you feedback and adjustments to your scene. Ryan Drake is a freelance film and television casting assistant who has primarily worked with Douglas Aibel, Stephanie Holbrook, and Henry Russell Bergstein for the last 4 years. He has also worked for Laura Rosenthal. 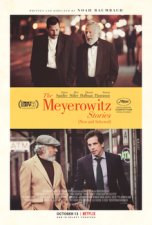 Some select assisting credits include: Meyerowitz Stories, Glass, Split, Succession (HBO), The Sinner (USA), Fahrenheit 451 (HBO), Mozart in the Jungle (Amazon), Thoroughbreds, Landline, The Kindergarten Teacher.